On January 2, 2016, with me unable to believe that it is a brand-new year, I set out with my New Year’s resolution, which was that I was going to continue to try to live a life of gratitude, and continue to appreciate all of my blessings. My goal is to continue to challenge myself to appreciate what I have and to not feel entitled. As I have said before, it is important to me that I keep this goal in my mind, that I let this challenge sufficiently push me, to do better, to be better. But this has not been the only challenge. When we think of challenges, we always think that they are something we can’t fulfill, that they are too hard. However, with the challenge that I made to myself, to try harder to help the homeless and to be a better advocate (also a New Year’s resolution), challenges can indeed be a very good thing. They can push us to be better and to do better. And so, on January 2, 2016, I led a squad for the third time in my life on an outreach mission. The first time, I went to the library, with a small group of people, about five people. The second time, I led a large group on Christmas Day. And the third time, I led a group to the library again, and this was a challenge because it forced me to be better and to try new things … But to my amazement, I took on the challenge, and I feel like I succeeded, and I’m getting better and better at this task, and getting better at achieving my goals. This makes me immensely happy. I feel like I am better able to connect with homeless folk, I feel like I am meeting like-minded people who have generous and kind hearts, and I feel like I am indeed improving as a person. This is the kind of challenge that we need, like forcing ourselves to run a marathon, so we are more fit and more healthy. As always, I try to approach my work on the homeless, and my pieces on the homeless and my experiences, with some kind of sociological and philosophical bent. Usually it comes from my own perspective and my own background, but I would say that this time around, the lessons came from the people who were in my squad. 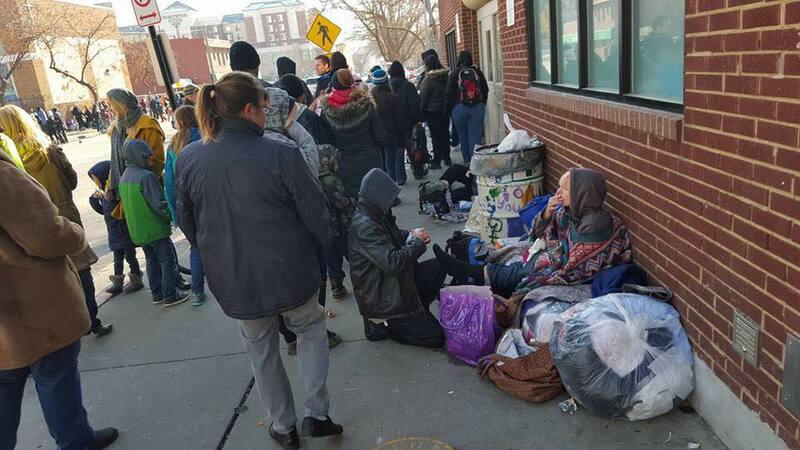 One amazing volunteer pointed out the difference between walking the streets and seeing what happens and what goes on, versus driving past those streets and sidewalks to go to work and consequently not seeing what goes on. She described how when she drives to work, she misses out on what is actually going on, because everything is a blur and because she doesn’t have time to slow down to see what is actually happening. This is of course due to the pace in which society goes, something that I believe prevents us from being more compassionate and caring to other people. Not to go on too much of a tangent, but to illustrate my point, when I was walking to the outreach location that very day, I witnessed a car accident. I saw that nobody was stopping to see if everyone was okay, but I forced myself to ask if everyone was okay. To continue my point, I think this volunteer is on to something: when we actually take the time to walk the streets and to see what is actually happening, we are further able to empathize and see what is going on, and we are able to do this for ourselves. I think this is an extremely powerful concept, how we get so caught up in our day-to-day lives that we forget what is going on in our very own city, and in our immediate surroundings. Of course the volunteer wasn’t insinuating that this is necessarily her fault, as we all have duties and obligations, but she was certainly pointing out that we can do better, and this is why it is so important that we have places where people can do work like this, work like outreach. Indeed, this is something that I think about a lot, and that is specifically, why people don’t stop to help those in need, why they don’t take the time. I’ve already mentioned that some of it is the pace in which society goes, but I also think that it is because there is not enough education on the subject. There is not enough education on what the needs are, and there are not enough opportunities to allow people to fill this need. All in all, it was a great lesson, and it challenges me to slow down even further, so I can better assist those in need. Another volunteer asked a very great question, which I answered to the best of my ability and to the best of my knowledge. 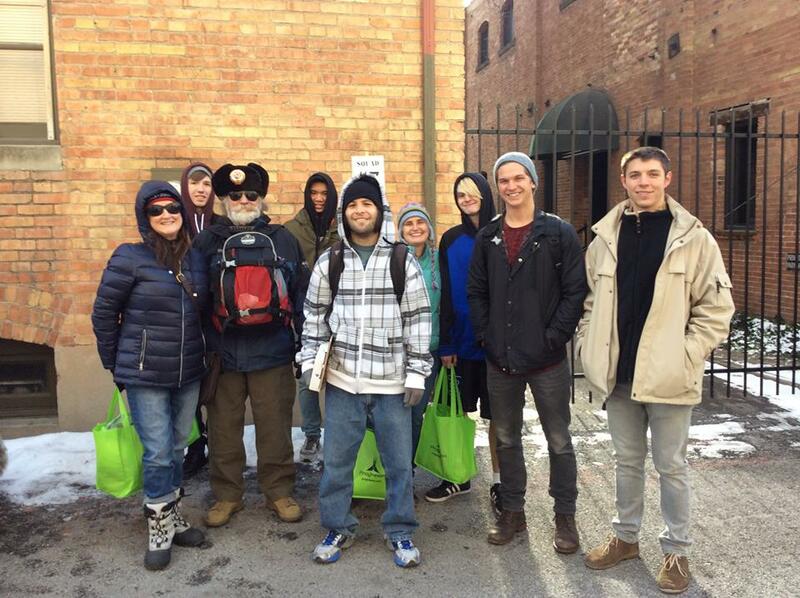 When our group was getting ready to go out to deliver the burritos and warm clothing, I mentioned that it is not the homeless population that we serve that we are afraid of in terms of our safety, but rather the people that prey on the homeless. As a side note, this is an important distinction, to remember that generally, the people that we serve are very kind and grateful people, and are not the threat, but it is the corruption surrounding them that is threatening, and that is what we have to watch out for. But anyway, this volunteer’s question was essentially, what instances did I know of, of the homeless being exploited, and preyed upon. I tried to explain that the homeless are a very vulnerable population. The reasons for this are very obvious, such as the fact that they’re literally living on the streets in an open and unprotected space, and do not have the luxury of shelter, which is automatic safety. I explained that I did not personally know of any instances or incidences where homeless people have been exploited (though in retrospect, I can unfortunately think of some examples), but that I knew of exploitation, due to my reading and my research. I know that the streets are unsafe, because there is a problem with drug dealers, for instance. I also told him that people prey on the homeless and exploit them in ways that one could easily imagine, and that did not need to be explicated. Such things are tragic, but that is the reality that we face, and that is why we need to do better, and be more compassionate and caring. I don’t think this answer was sufficient, and I do need to do more research into these matters, but I think what I really take away from this interaction is the reminder that the homeless population is a very vulnerable population, and we should not put the blame on them, we should not see them as deviant or criminal, we should see them for who they really are. That takes work and education, as well as a willingness to see for yourself, especially when the media and common narratives portray the homeless in a certain negative light, but it is something that we can all work on. But indeed, as always makes my day, the people that we serve were very grateful. I was amazed at the kindness of the people in my group, and I was amazed at the kindness of the people that we served. All of this was beautiful to see. For most of the trip, I was leading the squad, but I also got to pass out hot sauce for the burritos. That was fun, and it brought a smile to my face every time I was able to brighten up someone’s day because I was able to give them hot sauce to add to their treat. It would seem kind of cheesy, that I could get so much satisfaction from passing out hot sauce, but it really isn’t, because it really makes people’s day, they are very grateful and they thank you for it, and it makes you feel very good to be able to serve others in such a kind way, and to have such meaningful interactions. This to me is one of the most important pieces of the outreach, which is the fact that we are making meaningful change, by having meaningful interactions with the people that we serve, and closing the gap that exists otherwise. So that, is my challenge, and my challenges. Indeed, to be more grateful, to help the homeless population more, to be kinder, and the overall amazing responsibility of leading a team to do outreach work! How incredible is that challenge! Indeed, it is very incredible, and I am happy to have this challenge, happy to carry the torch. May this year bring many beautiful things and many blessings to us all, and mostly, to those under-served and under-appreciated.